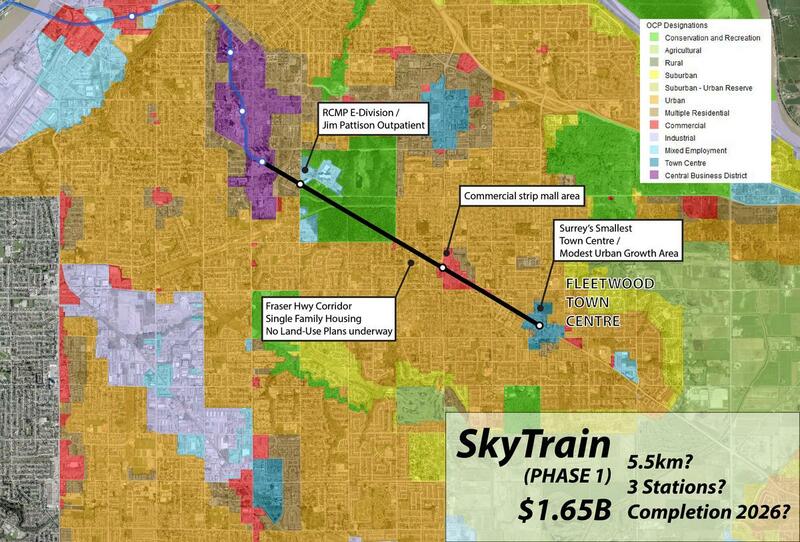 Since my last post on the differences between the proposed LRT and SkyTrain generated much discussion – I felt it would be good to highlight in more detail – the key land-use, route, and scope differences between the 2 routes, and why SkyTrain down Fraser Highway – makes no rational sense from a land-use or planning perspective. 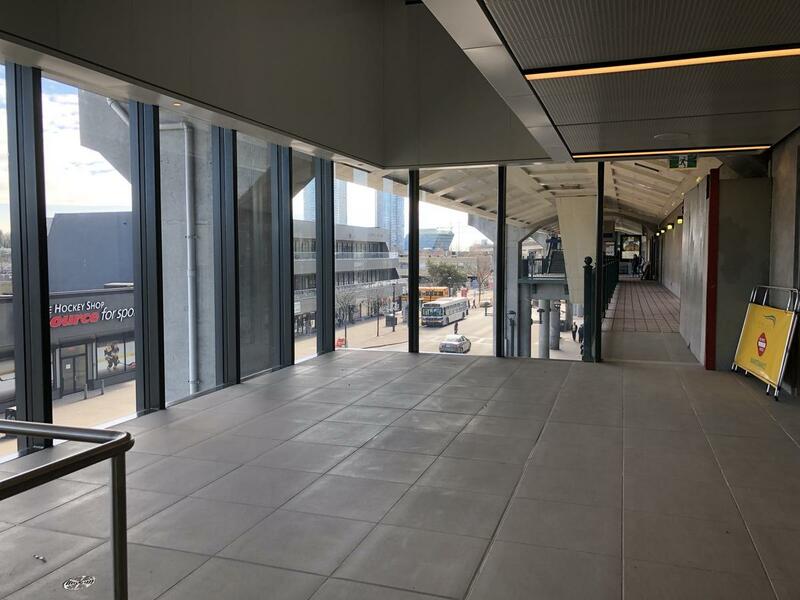 Guildford Town Centre – Largest Town Centre in Surrey with existing high-rise residential, hotels, offices. 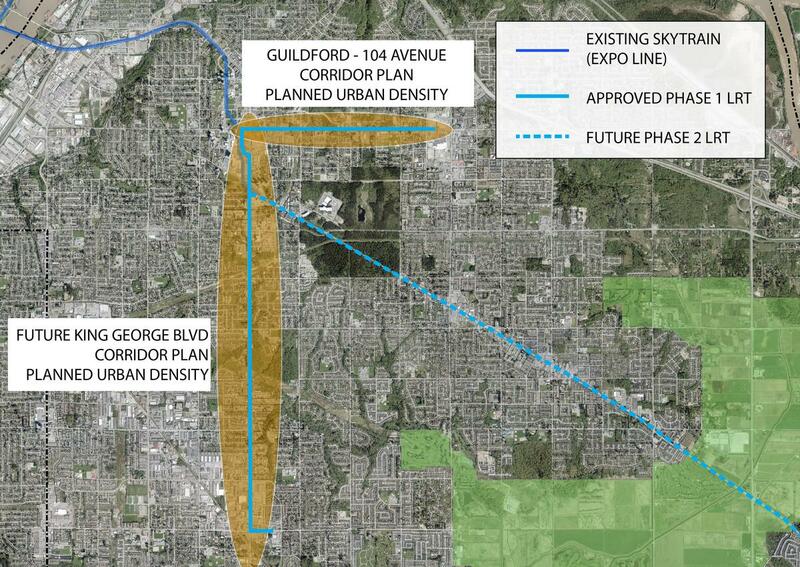 Guildford – 104 Avenue Corridor Plan – Currently underway land-use plan which will direct increased density, growth, and revitalization along this key corridor linking City Centre and Guildford – would be served by 4 LRT stations. 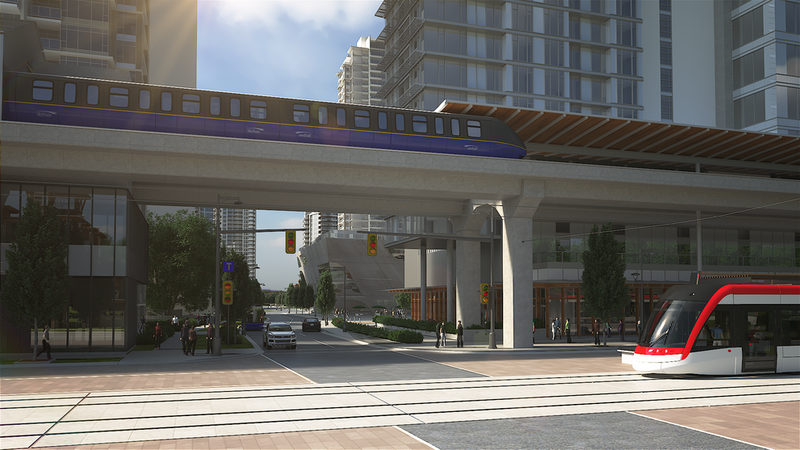 Newton Industrial Area – Large employment area consisting of light industrial, business parks, commercial – would be served by 2 LRT stations. 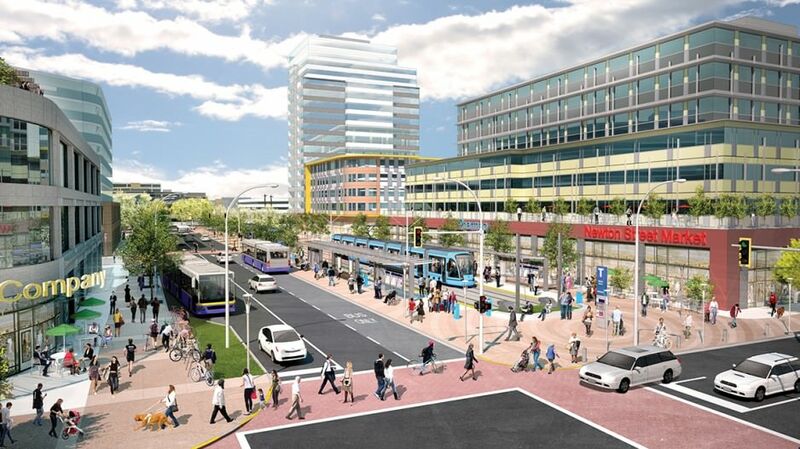 Newton Town Centre – 2nd largest Town Centre in Surrey – already significant retail, offices and planned increased density/growth. 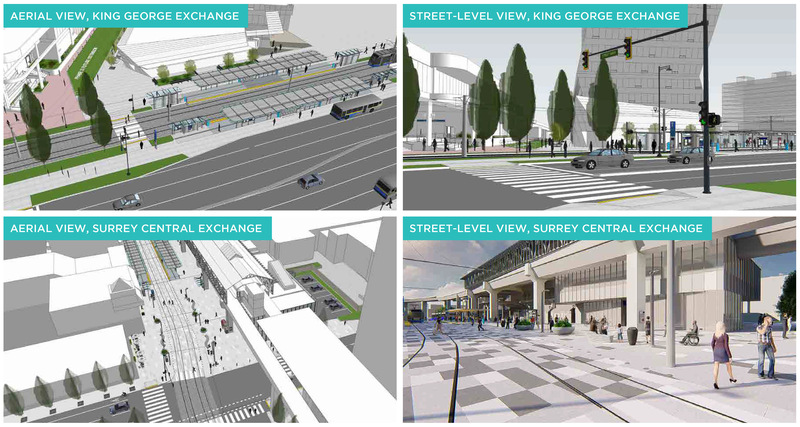 In addition LRT would create 2 vibrant multi-modal transfer hub stations at Surrey Central and King George – integrated into new urban plazas. 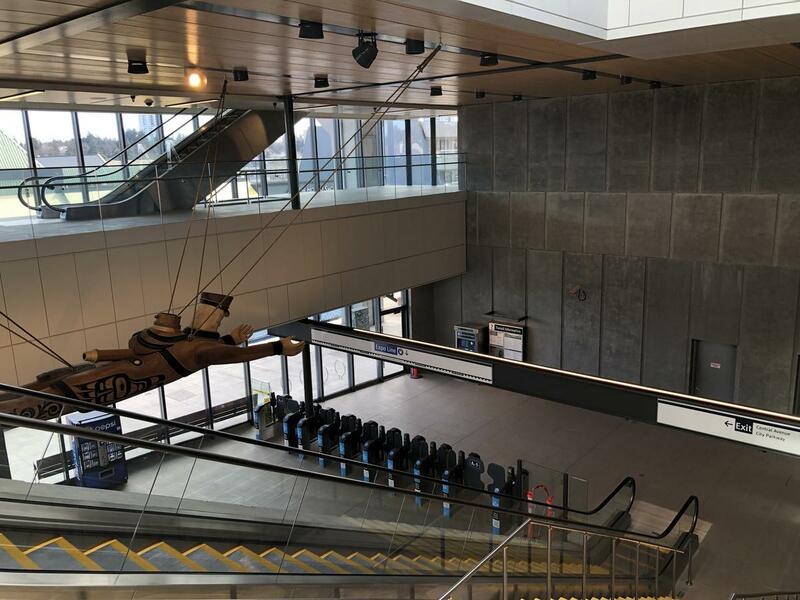 Fleetwood Town Centre – Smallest of Surrey’s Town Centres. 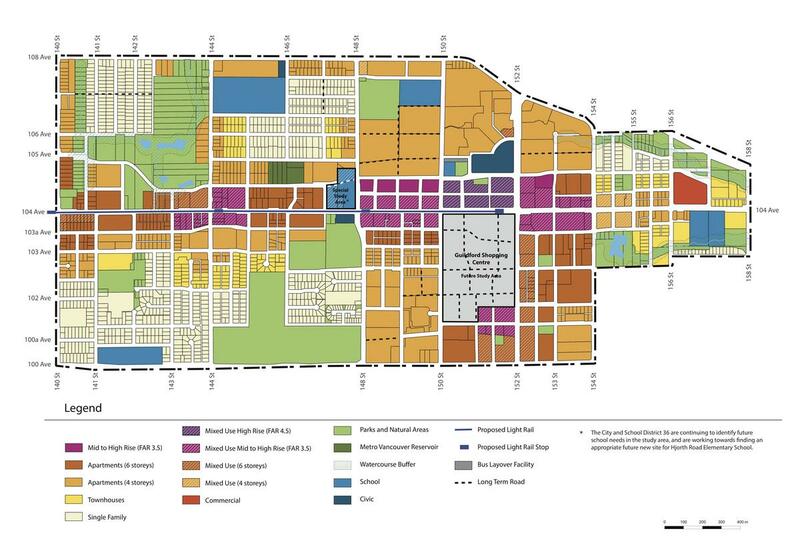 The current Fleetwood Town Centre Plan designates this area for modest urban growth, consisting of townhouses, village like commercial, and some 4-6 storey apartments. 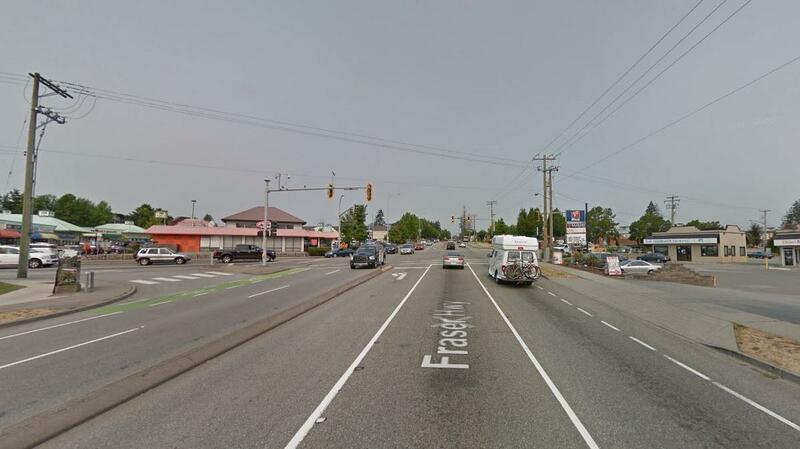 152 & Fraser Hwy Commercial Area – Currently a low-density strip mall area with no current land-use plans underway for revitalization. 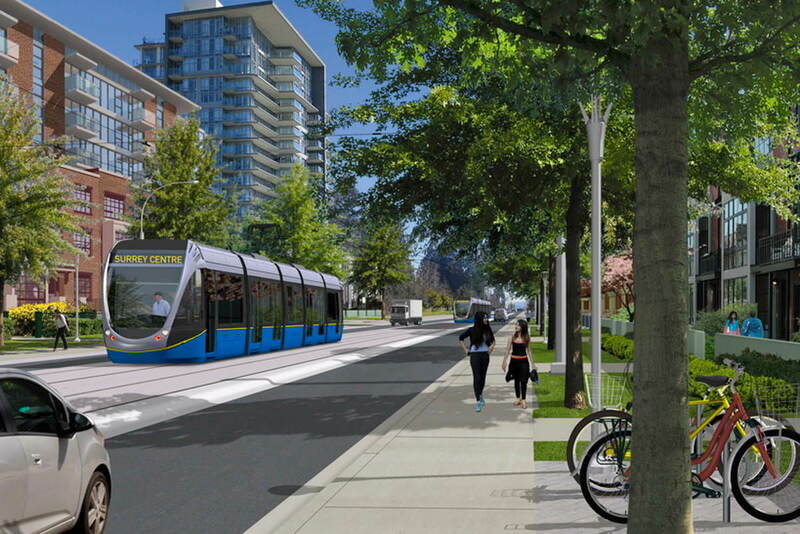 A land-use plan to change the density in this area would be necessary given the introduction of rapid transit to the area. 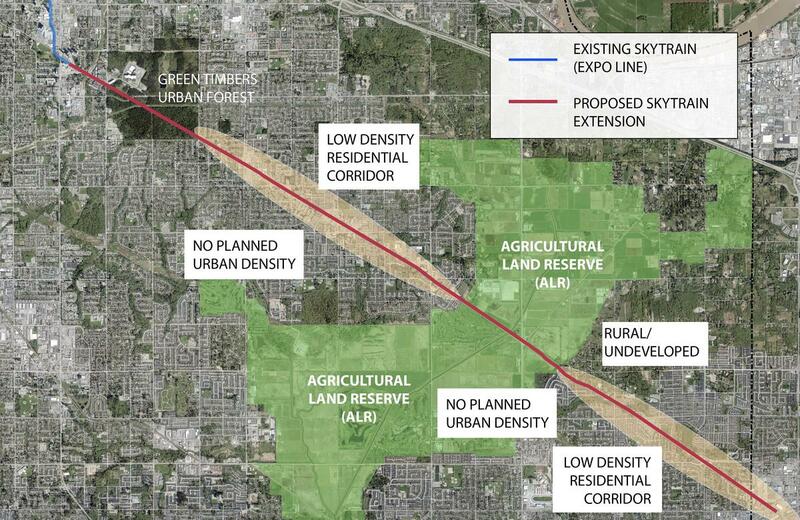 This would present a major change to the Surrey OCP and where future density/growth directed to in Surrey. 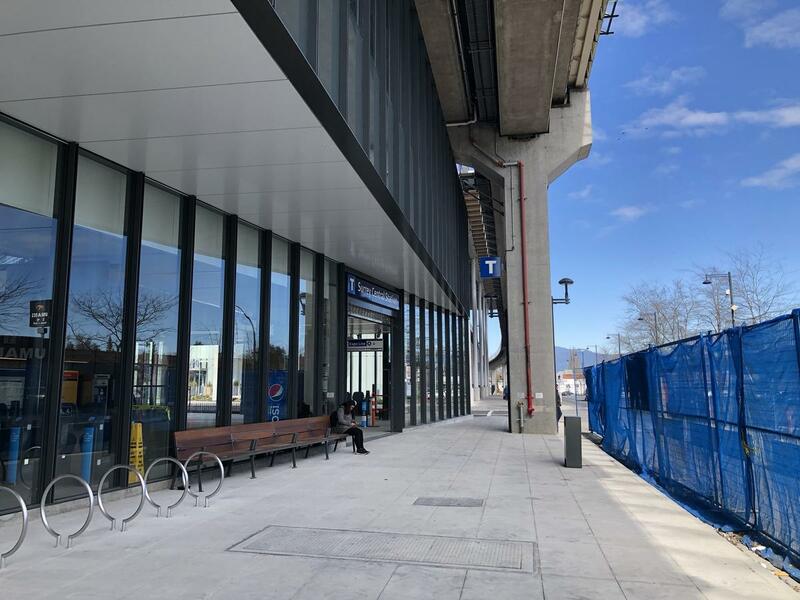 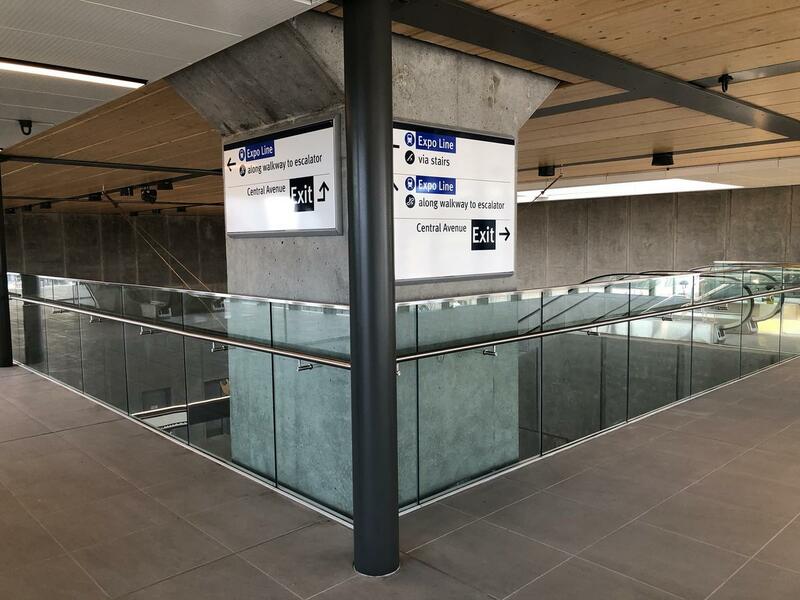 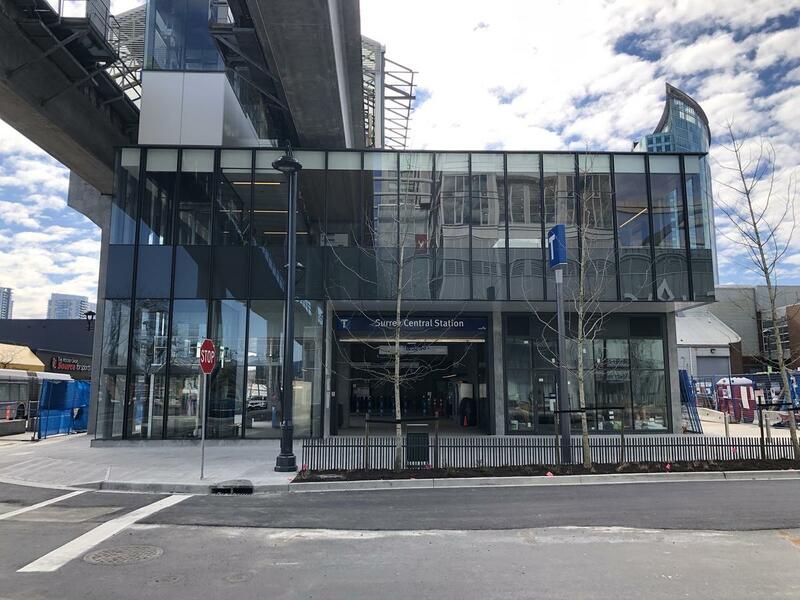 In addition, a Fraser Highway SkyTrain extension would lack any vibrant multi-modal transfer hub stations centered on plazas. 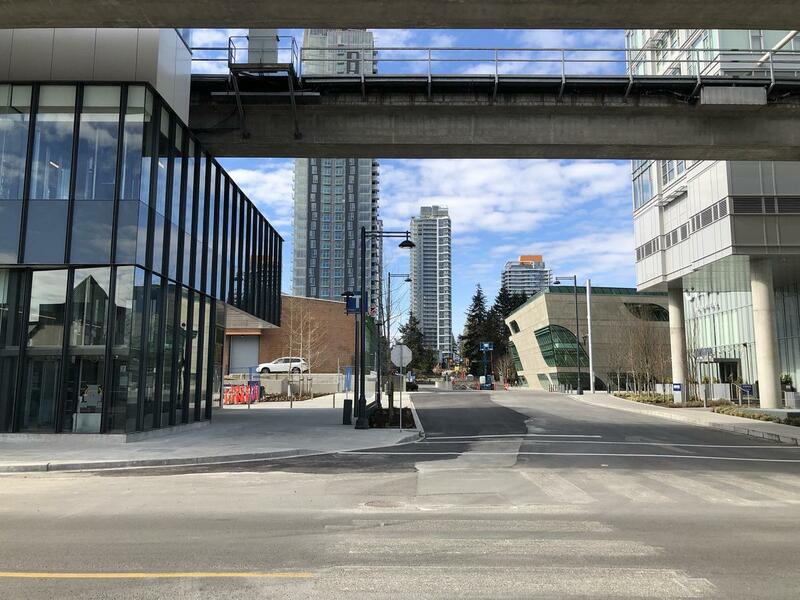 A missed opportunity for city building / urban revitalization. 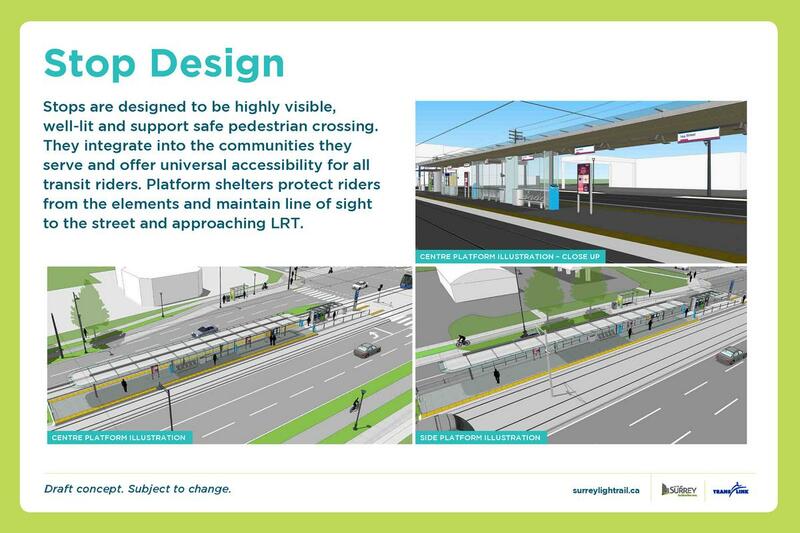 LRT is scheduled to begin construction in 2019 with the 10.5km Phase 1 completed by 2024. 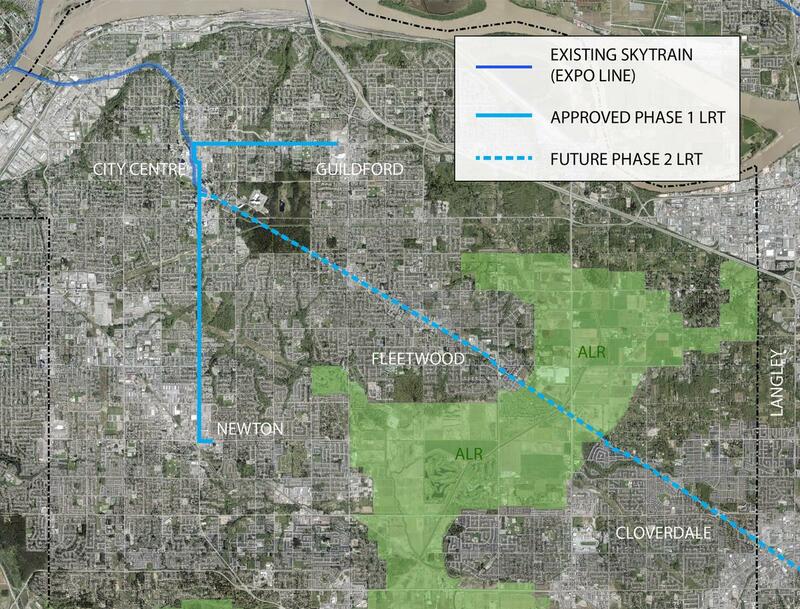 SkyTrain would need to start from scratch in 2019, beginning with at least 2 years of design, planning, consultation. 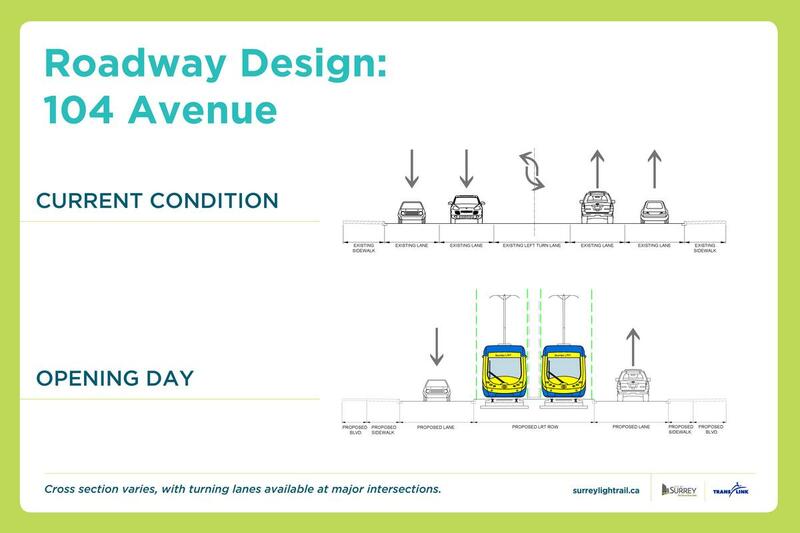 New land-use plans would have to be initiated along the route – as land-use must be planned in cohesion with rapid transit. 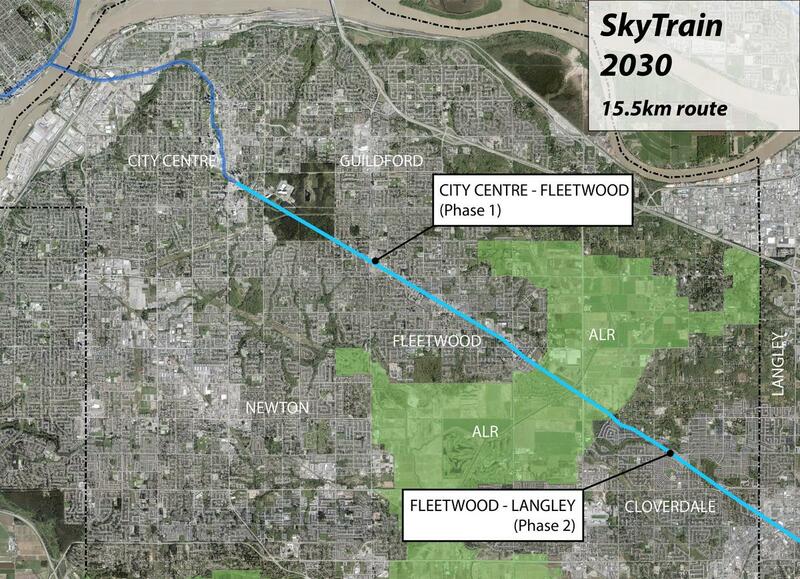 A 5.5 km Phase 1 extension of SkyTrain to Fleetwood could likely be completed by 2026. 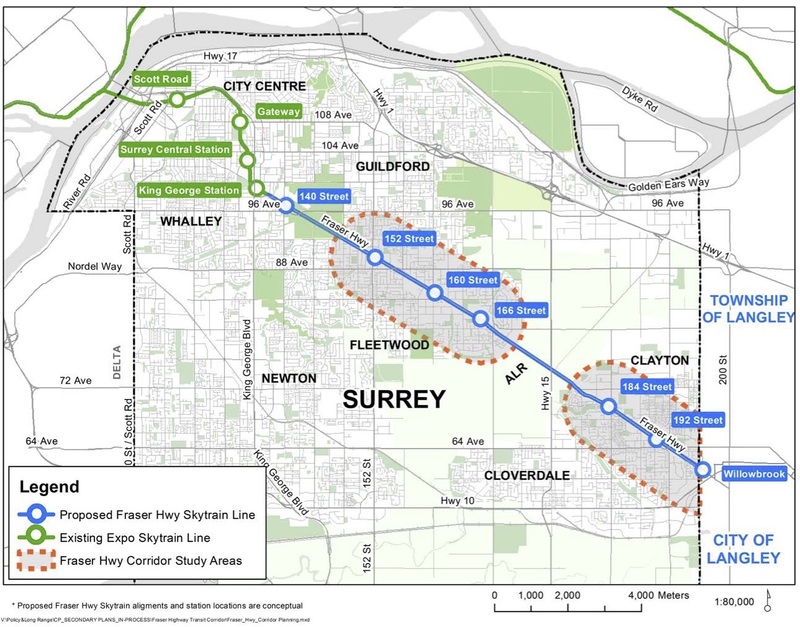 Scenario 1 would see 27km of rapid transit built in Surrey, serving both the Guildford – Newton corridors, as well as the Fraser Highway corridor to Langley. 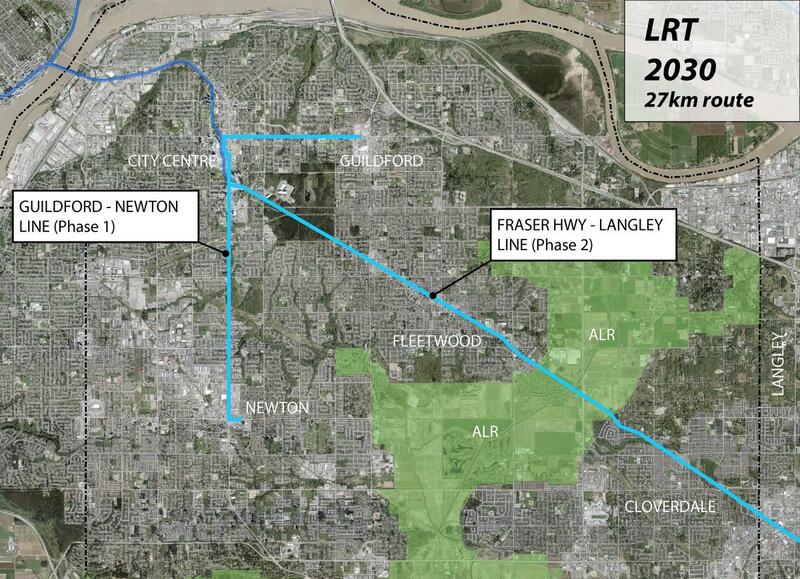 Scenario 2 would see 15.5km of rapid transit built serving only the Fraser Highway corridor to Langley. 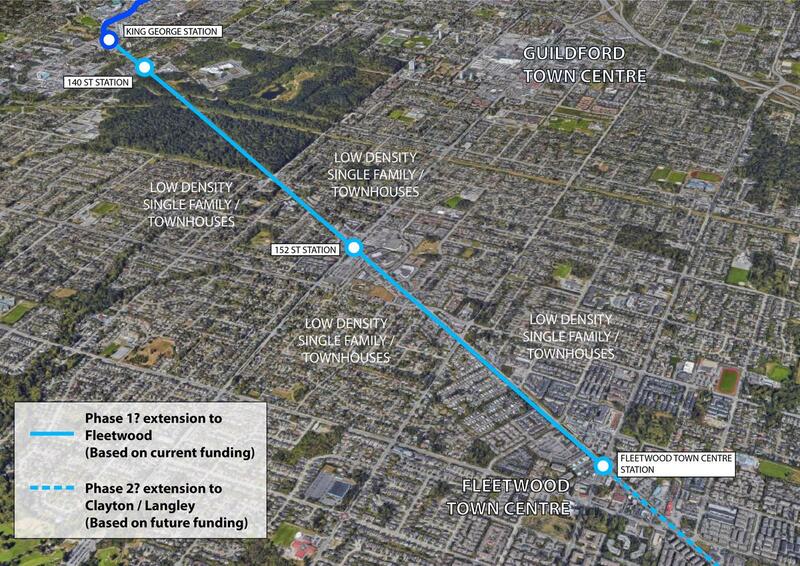 Guildford and Newton – Surrey’s 2 largest and most urban centre’s would have no rapid transit. 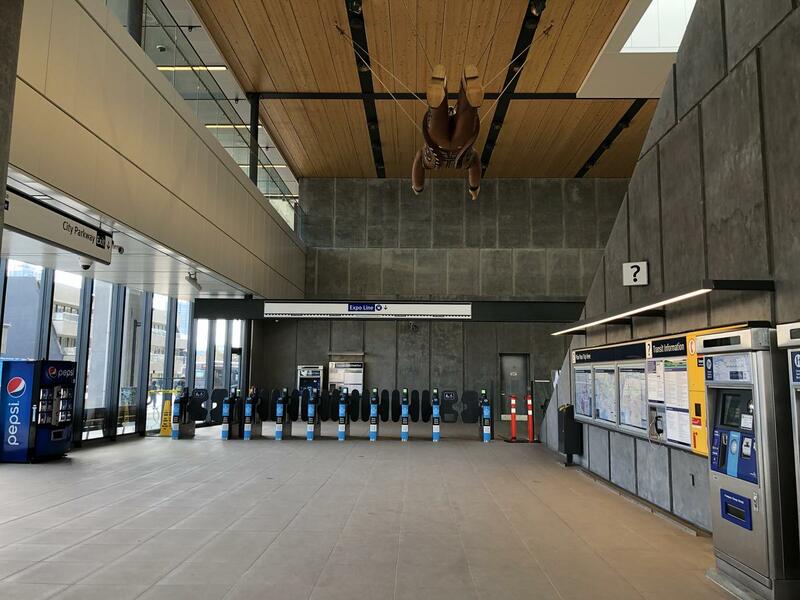 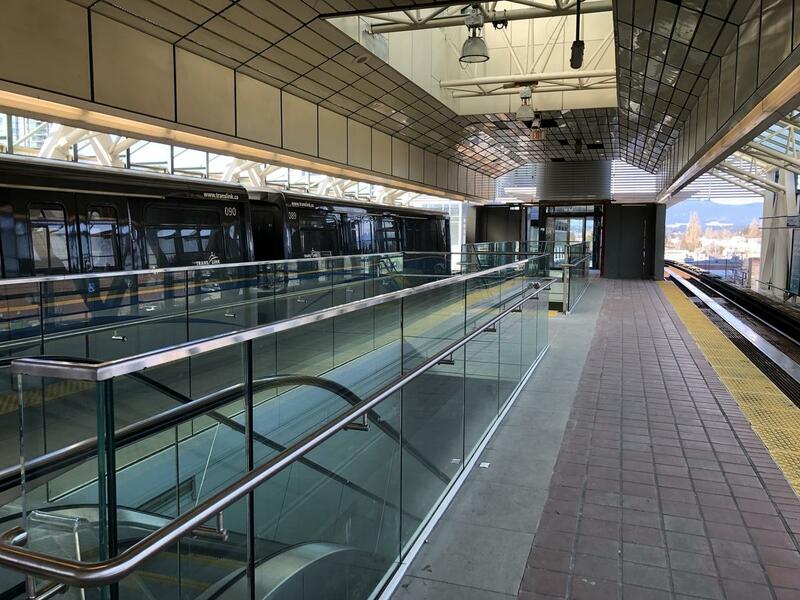 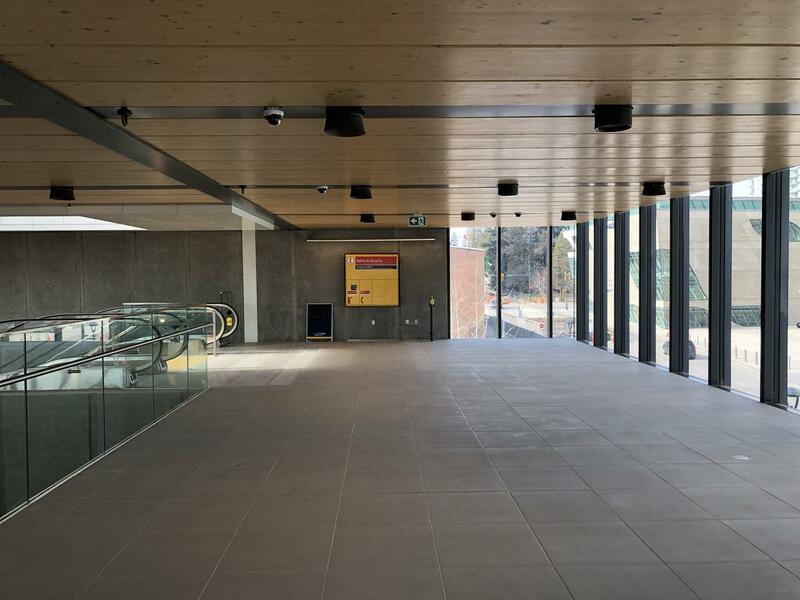 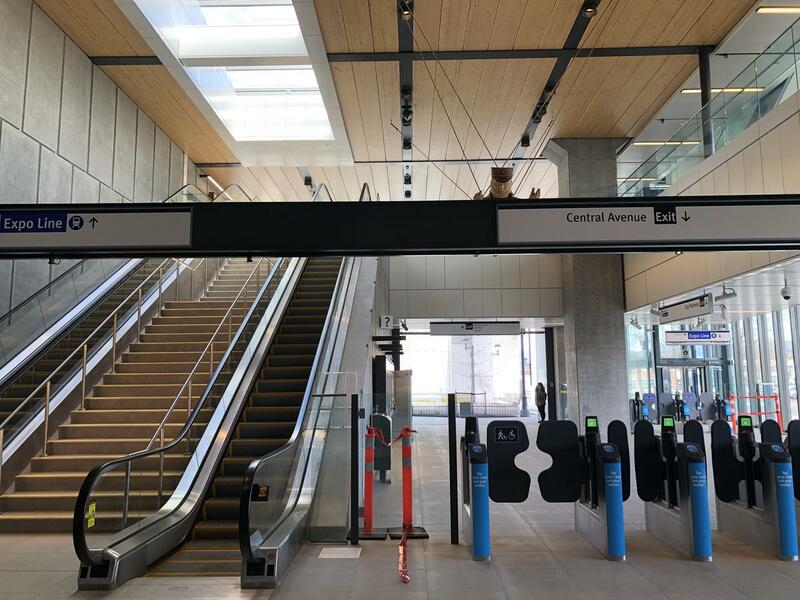 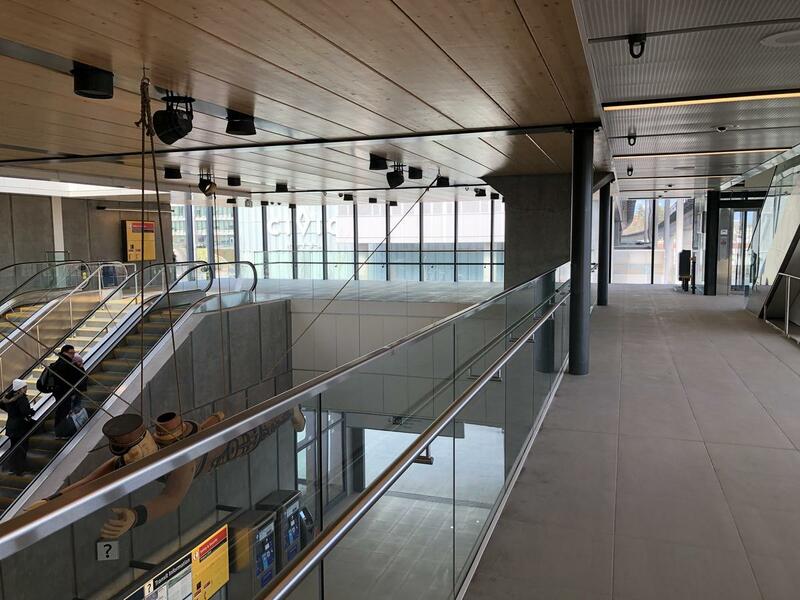 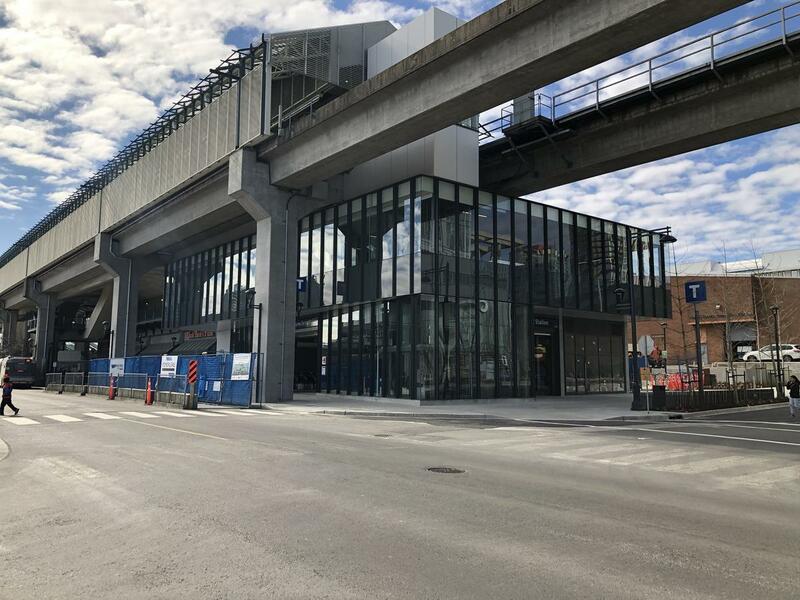 While Doug McCallum does mention a future SkyTrain extension down King George Highway to Newton – this is unlikely until the Langley extension is complete – so post 2030. 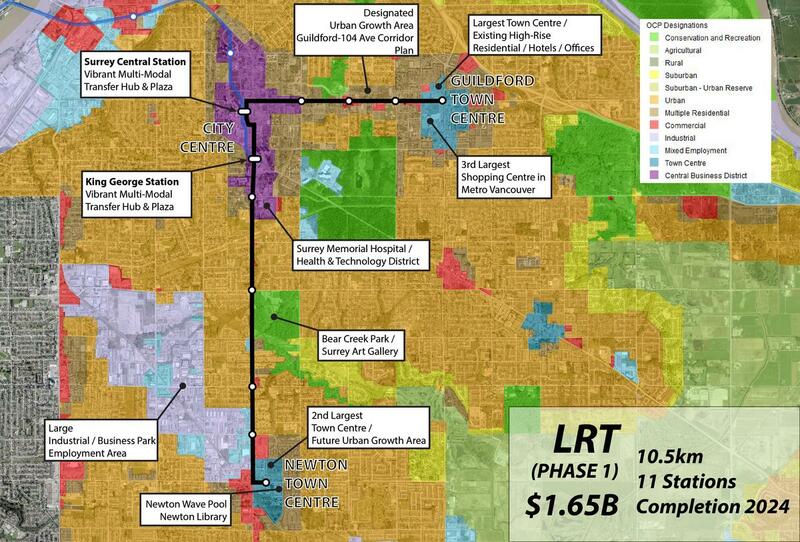 Best way to spend $1.65 Billion? 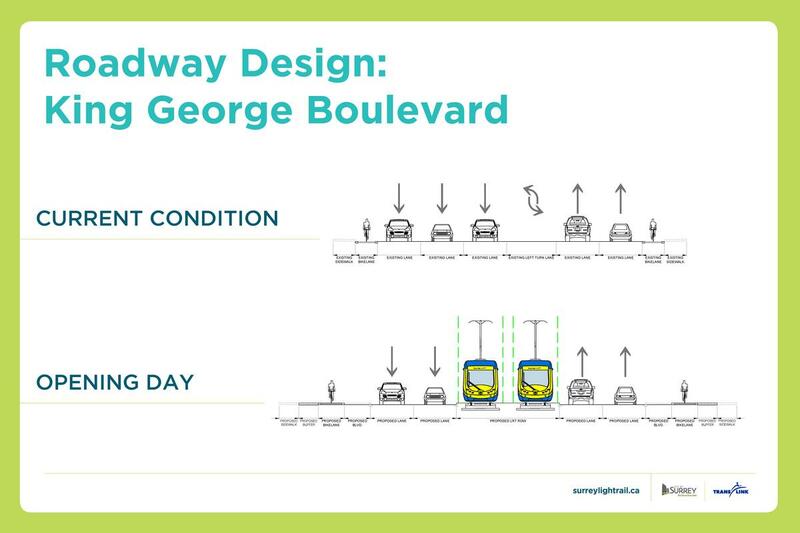 Each of these scenarios costs the same $1.65 Billion price tag. 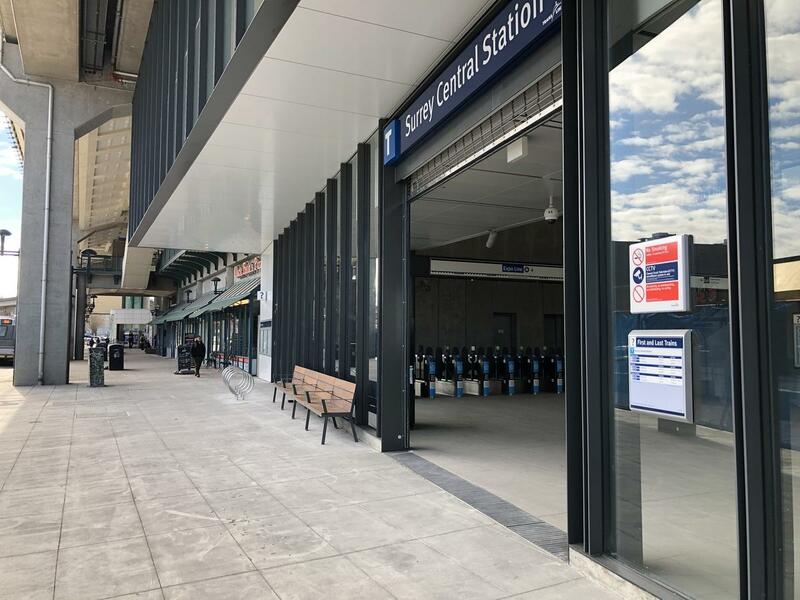 Which option do you think provides more value to Surrey? 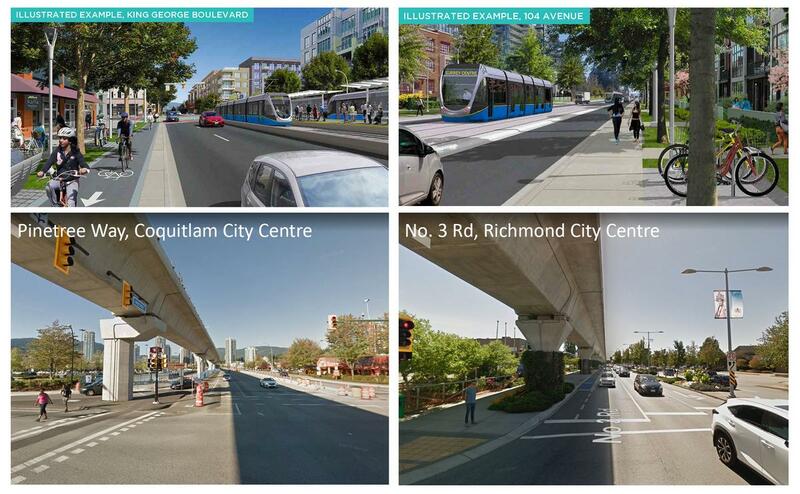 Which option will result in the most rapid transit for Surrey by 2030? 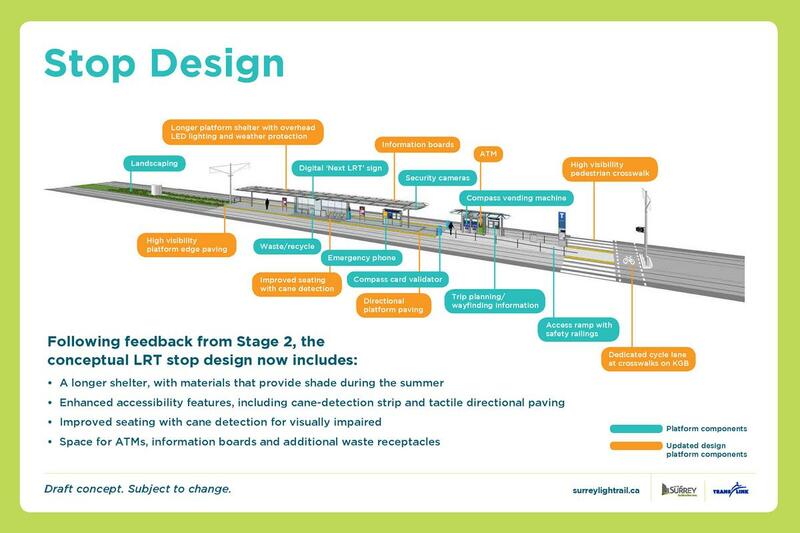 Which option will best integrate with the neighbourhoods it passes through, create a sense of place, and be a catalyst for vibrant communities? 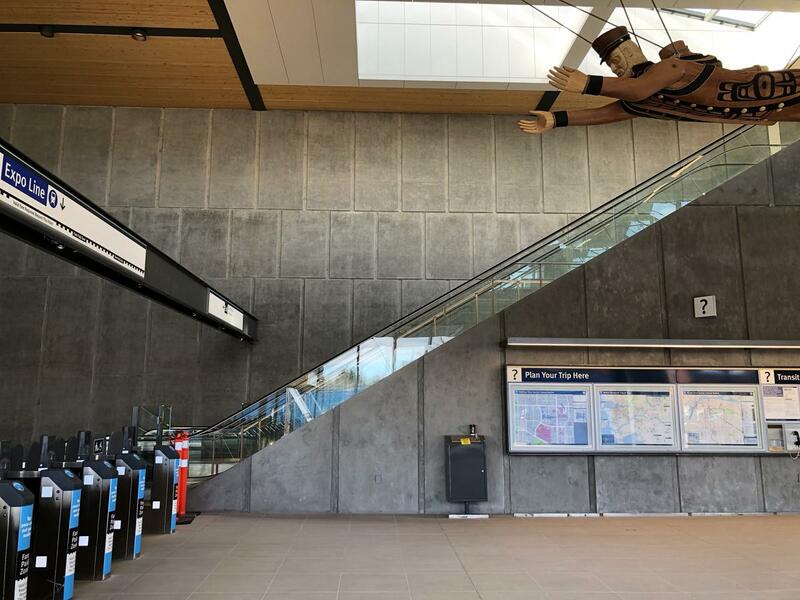 Rather than just a means of by-passing Surrey to get somewhere else. 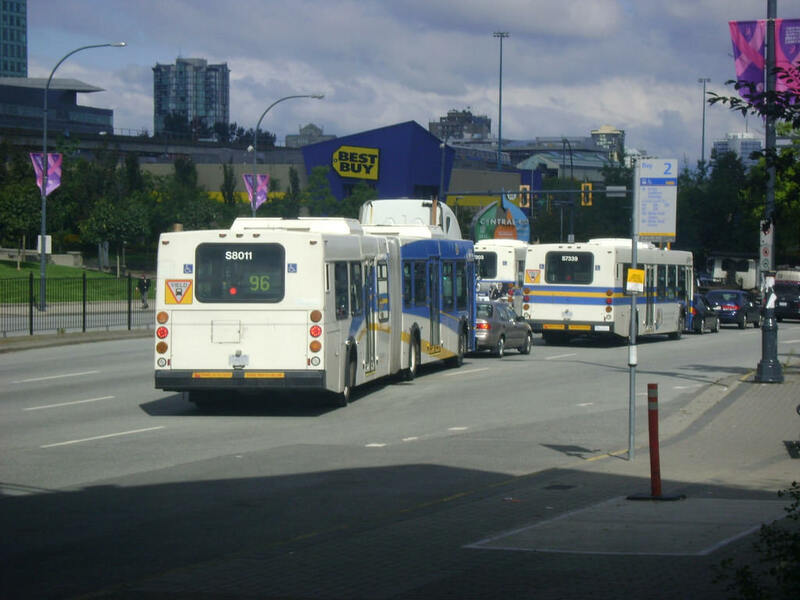 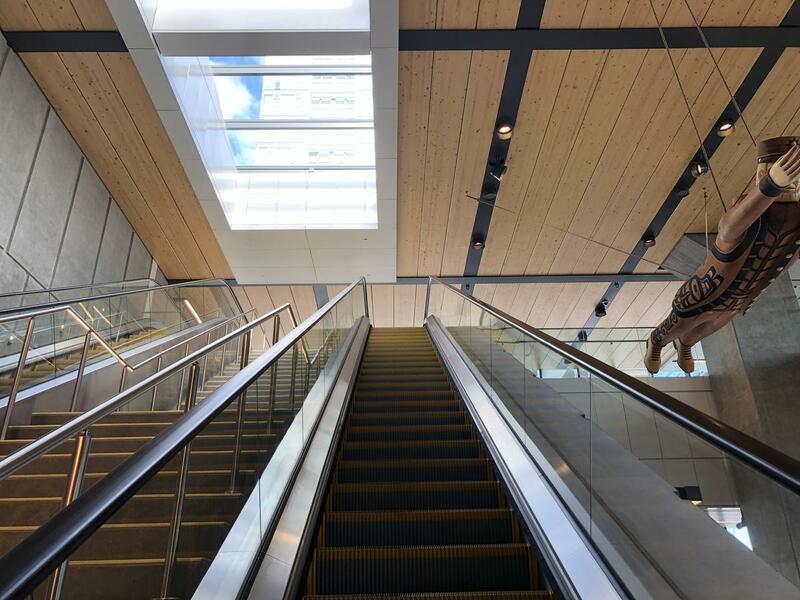 Which communities should be prioritized for rapid transit?